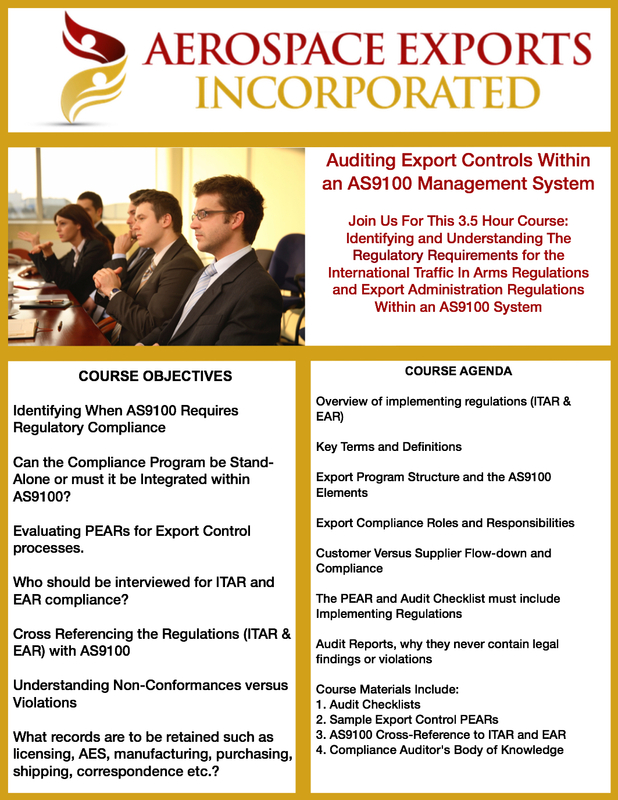 How to audit an AS9100 Management System for ITAR compliance. 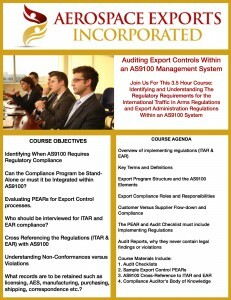 This course is only open to Credentialed 3rd Party Aerospace Auditors. Contact us at info@aerospaceexports.com for more information.